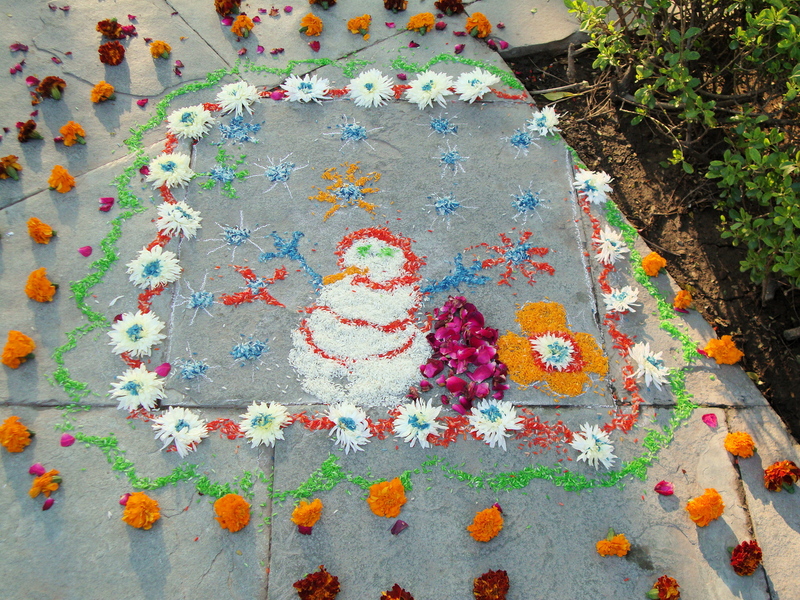 Loved the rangoli designs today at the school … what a fun surprise! And the scariest part is that Beck is actually being touted as a vice presidential running mate for Palin … can you imagine? John and I shake our heads in despair at some of things going on in this country today. i’m just sharing the love! You Go Girl! Good ‘on you!’ for seeing the good in such a difficult country in which to live! Happy Holidays!!! I have to tell Patty you gave a shout out to Bing – he’ll be sooo happy 🙂 Gotta love the pretty pictures! jen: you tell pat that i have a bestest girlfriend at google… and STILL, i did my part to secure his future! !